BELLEVILLE – The Shoeless Joe’s  in Belleville will be open on Christmas Day, but it won’t be business as usual. Instead, the restaurant is reaching out to those in need of a place to go. 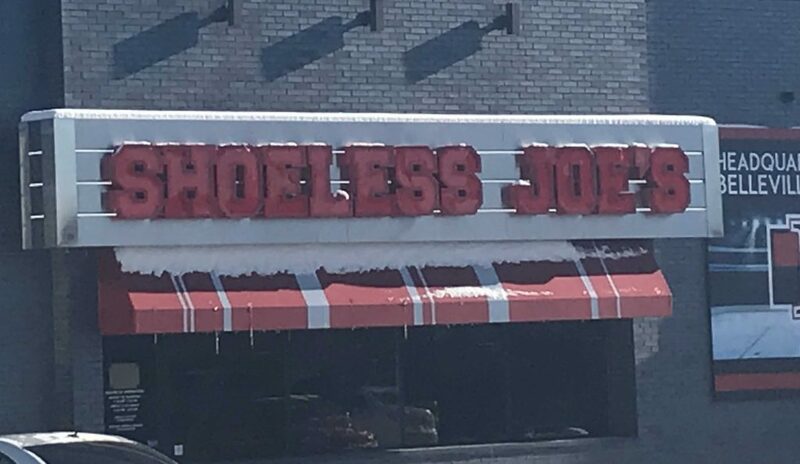 “That means everyone from veterans and seniors, to divorced and separated families, to the homeless,” says April Meeks, media manager for Shoeless Joe’s Belleville. The initiative is about giving back to the community, she said. The restaurant will be serving a more traditional Christmas dinner as opposed to its usual menu items, Meeks said. The dinner will include turkey, ham, potatoes and various other food items. Any Shoeless Joe’s employees present on Dec. 25 will be there voluntarily, she said. The restaurant will not be open for regular business because of the Christmas special event. Shoeless Joe’s has contacted several organizations in the community, including the United Way , the Salvation Army  and Habitat for Humanity , to spread the word about the Christmas dinner. The initiative is something that Shoeless Joe’s is hoping to make an annual event, Meeks said. It’s similar to what staff members have experienced at other restaurants, she said. Shoeless Joe’s will be open from noon to 4 p.m. on Dec. 25.